The Bounty Hunter Tracker IV is the most popular hobbyist metal detector available, and for very good reasons. It offers great precision, can detect objects 8 inches deep, and it is suitable for use over the polluted soil. It is very affordable and has received great reviews from professionals and hobbyists alike. Metal detecting is an educational, highly engaging hobby. 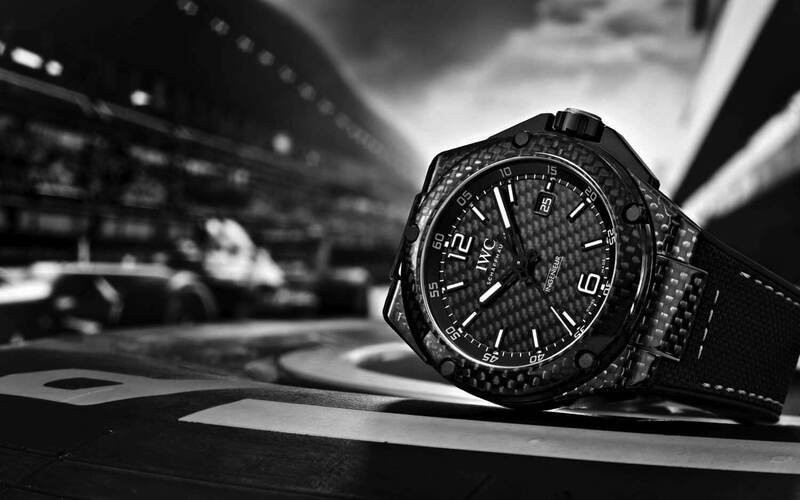 It has been gaining in popularity over the last decade, and has developed a subculture of its own. You can find discussion forums and YouTube reviews that cover the best places and methods for treasure hunting. But the main discussion topic in these communities is finding the right tool for treasure hunting. Since there are many very different approaches to this hobby, there isn’t a single correct choice. Nonetheless, there are several important factors to consider. 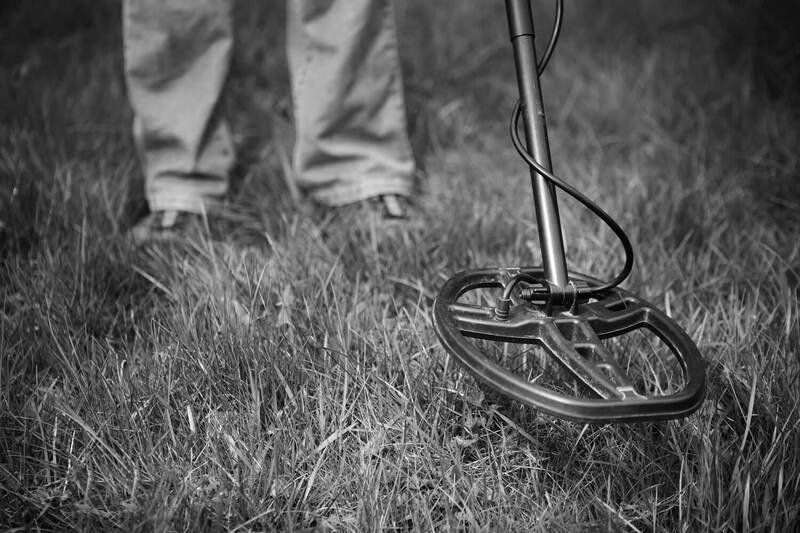 The first thing to check when choosing the right metal detector, is sensitivity. 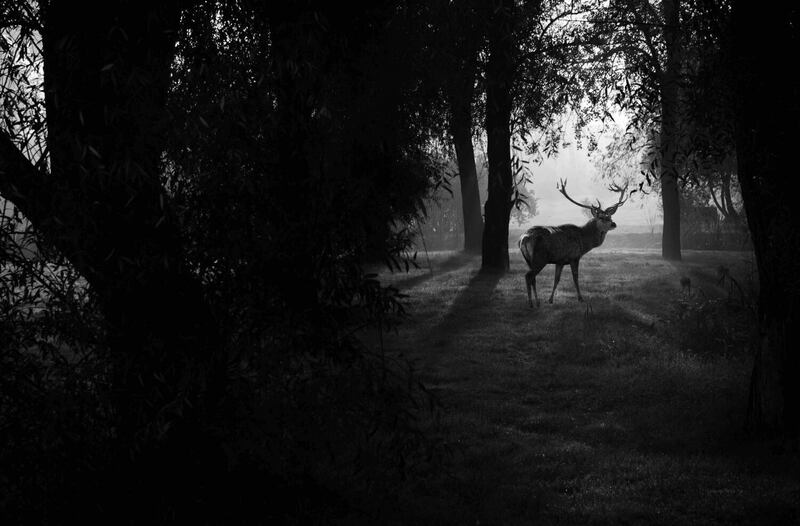 An experienced hunter will want a detector that can pick up signs of even the smallest treasure. At the same time, if the ground contains many metal objects – or even just high mineral content – the signal may not be clear. The best metal detectors are created with that in mind. Another important consideration is ease of use – particularly, weight. Lastly, affordability is a huge factor. Just as treasure hunters range from enthusiastic beginners to seasoned experts, metal detectors come in a very wide price range. By comparing three leading products, this article will help you to choose the best metal detector to suit your needs. This metal detector is a great option for beginners, as well as those who like to combine treasure hunting with hiking, camping, and family or school trips. It is a full-size detector, but it can fold into just 22 inches, making it a great portable option. It weighs only 2.3 pounds, which makes it a lightweight – a good choice for treasure hunters who have difficulty carrying a heavier device. This metal detector is equipped with a waterproof coil, 10 inches in length, and great for hunting in rainy weather. There is an easy-to-read LCD screen and an audio alert option with volume adjustment. The detector comes with a headphone jack, providing a privacy option for treasure hunters who do their hunting in company. The National Geographic PRO Series Metal Detector also comes with an information guide by National Geographic, containing a history of treasure hunting, as well as several practical tips and tricks! In addition to its ease of use, this detector offers a fair amount of accuracy. Its range reaches 10 inches underground! It comes with 3 detection modes, making it easy to filter out unwanted signals in response to soil minerals. The product comes with a 2-year warranty, and is available with gift-wrapping, making it an excellent gift choice for new treasure hunting enthusiasts of any age. One downside is the price, which might be too high for the casual treasure hunter or anyone who isn’t sure whether this is the right hobby for them. Here is a considerably more affordable option, still offering great detection quality and ease of use. At 2.2 pounds, this is another lightweight detector for treasure hunters on the move. Its length is adjustable, ranging from 34.5 inches to 45.5 inches. This detector requires two 9V alkaline batteries to operate, which must be purchased separately. It does, however, come with a pair of headphones for those who prefer to work in privacy, as well as a 7-inch rain-proof coil, which makes it another good choice for rainy days. The Bounty Hunter Gold Digger Eliminate offers both automatic tuned ground control and power and sensitivity control. It can pick up a wide variety of metals, and it comes with an eliminator that gives you the option to ignore unwanted metals. This way, you can search for lost jewelry without getting sidetracked by bottle caps! There is also a sensitivity meter, with approximates the depth of the metal. This detector can find coin-sized objects to 6 inches underground, and larger objects buried up to 2 feet. It is a very well-priced option, recommended for treasure hunters who mainly look for coins, iron-based relics, and misplaced household items. It comes with a limited 5-year warranty. 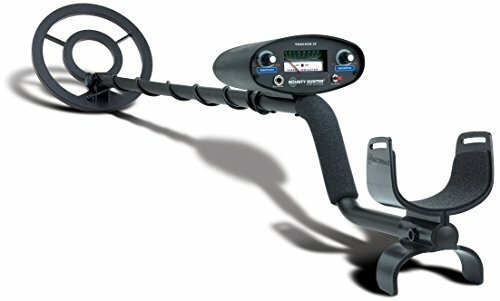 The Bounty Hunter TK4 Tracker is the best-selling hobby metal detector on the market today. It is a very professional and fairly affordable device, perfect for ‘extreme’ ground conditions. This means it is very good at distinguishing treasure from unwanted (polluting) minerals using disc/notch control. No doubt, this is one of the best technologies currently available. This metal detector reaches smaller targets up to 8 inches deep, and it can detect larger objects even 2 feet underground. It comes with all-metal mode, discrimination mode that allows its users to specify exactly what type of metal they are looking for. This means that the Bounty Hunter TK4 Tracker can be used in for wide variety of tasks! Another thing that sets it apart is the two-tone audio alert system that comes with the built-in speaker system. There is a quarter-inch headphone jack as well. It’s important to note that this detector weighs 4.2 lbs, so it is better for shorter, more targeted use. It might not be a good option for treasure hunters who experience back pain, or cannot hold heavy objects for a prolonged period of time. Its length is adjustable, making for easy transportation! 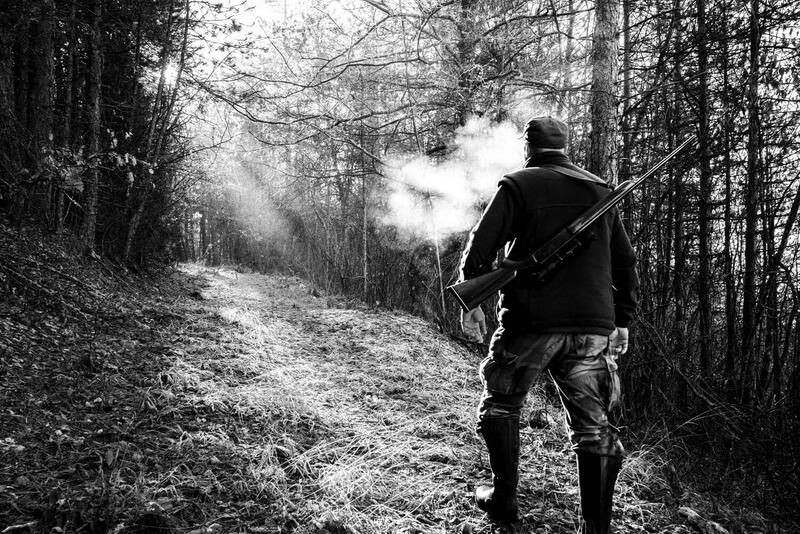 An 8-inch long waterproof coil makes it suitable for hunting in any weather conditions. This detector requires two 9V alkaline batteries. It comes with a limited 5-year warranty. According to leading reviewers, this is an exceptionally durable detector, suitable for use in any kind of conditions. Beyond its use in hobby metal detecting, it is recommended for prospectors as well, because it’s precise, reliable, and affordable. 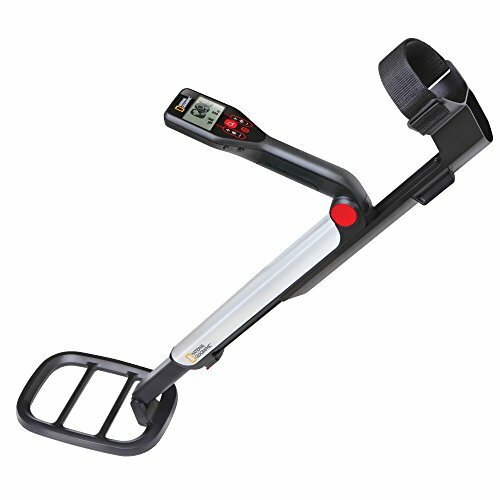 If you’re looking for a top-quality, very precise and efficient metal detector at a reasonable price, the Bounty Hunter TK4 Tracker is your best bet! It offers a good range and makes it very easy to filter out unwanted signals, so it’s the best choice for extreme conditions. It has a sophisticated alert system, and is frequently used by prospectors as well as casual hobbyists. Its only downside is that it is not a light-weight model. 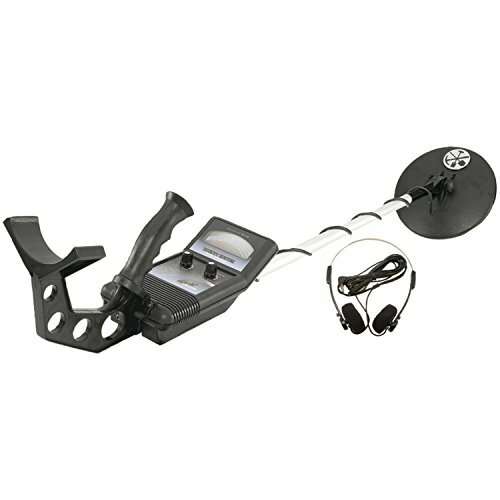 If you prefer an even more affordable option, the Bounty Hunter Gold Digger Metal Detector is a great choice as well. It has a smaller range, but offers an efficient eliminator, making it possible to select which metal you intend to search for. It is a light-weight model and comes with headphones. If you are able to spend more on your detector, the National Geographic PRO Series is a good choice. This detector is light, collapsible, and very easy to use. It comes with an information guide, which offers a detailed introduction to this hobby.